“Sunday at the Masters.” That simple, 4-word phrase stirs up such great excitement for the golf fan in all of us. Even for “one-Sunday-a-year” golf fans like myself, we are glued to the all-day TV coverage of the Masters, PGA’s premier golf tournament. And so we watch, with great anticipation, every drive, pitch, chip, and putt. And for those not fortunate enough to be watching the live coverage, they are no doubt following online or on their favorite mobile app. And every fan of the Masters will find themselves “leaderboard” watching… tracking the performance of their favorite golfers as they complete each hole. Golfers themselves are guilty of leaderboard watching, to get a glimpse at how many strokes ahead or behind they might be, and what they need to do to work their way to the top of the leaderboard. In the world of sales incentives, leaderboards are an essential tool that highlights performance and recognizes those who are and/or have excelled. The type of leaderboard to use is mostly driven by your incentive program and can highlight the top performers of the entire program, can display those within a given geographical area or can even be time-based (ex: performance for the last 3 months). 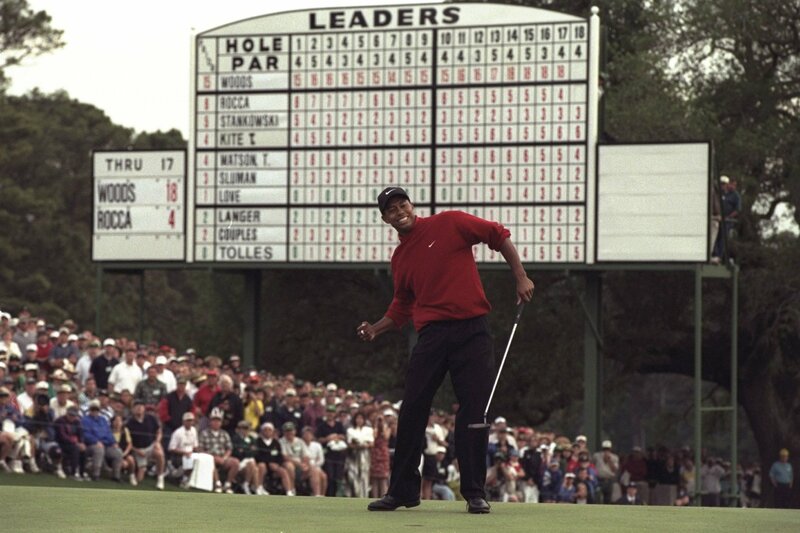 The leaderboard can be as simple and classic as that of the Masters; can be retro-themed to fit the nostalgic design of your program; or can be built into your mobile event app, providing real-time updates. Do Sales Incentive Leaderboards Work? A key question to ask is: do leaderboards motivate or demotivate your participants? Well, it depends. For those Type A personalities who are competitive in nature (like myself! ), working your way into the “Top 10” can be a huge source of motivation for them to excel. So, for a sales incentive program, this could provide the needed push to drive an individual or organization to achieve even greater results. But for others, it can serve the opposite effect, discouraging or frustrating people who are not in the “Top 10”, much less the top anything. That is why experts will be the first ones to tell you that leaderboards that show your performance, along with those who are just above you and just below you, can serve as a greater source of motivation than a “Top 10” list. Either way, sales incentive leaderboards can and do work. At least according to my survey of 1. Let us know what you think! And now, back to watching the Masters leaderboard. Check out our sales incentive page for a little more insight on how we run programs that deserve a green jacket of their own. Vice President | Expertise is driving a high-level of service excellence for all client programs & internal operations. Great post! I agree that Leaderboards can & do work! Thanks for sharing your thoughts on leaderboards! They work really well when used in mobile event apps as part of a game, but also just for personal motivation. I use the NIke+ Running app and it shows me how much distance I’ve covered relative to my friends. Even if I’m not in the Top 10, seeing who’s just above me encourages me to literally go the extra mile to beat them!